Connect and play your portable audio device in select Fords with CD Changer. 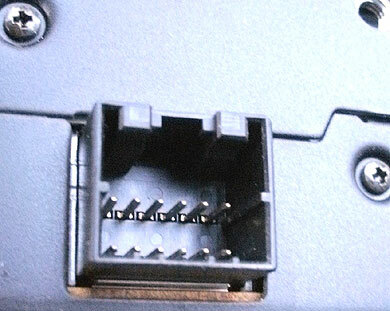 Many Ford, Jaguar Radio owners must disconnect the remote CD Changer (in armrest, trunk or hatch etc. ), or change radio in order to connect and play portable audio devices in their cars, but thanks to the AUX-FRDW those proud owners can now enjoy the music stored on their iPods, MP3 Players, Smartphones, Tablets and more without compromising the Changer or replacing Radio. Simply install the 3.5mm jack on or near dashboard, plug-in audio device and enjoy the best possible sound on car speakers. When in the mood for tunes in the Changer, unplug audio device from jack-- its that simple. » Connect and play iPods, iPhones, Smartphones MP3 Players and etc. 1. 1995-Up Ford,Lincoln, Mercury, Jaguar and Nissan with a remote CD Changer. Changer built-into radio is not remote. 3. 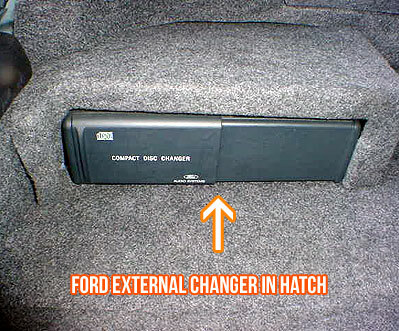 Remote (External) Changers are installed in hatch, trunk, armrest, below seat etc. (not built-into Radio). 4. 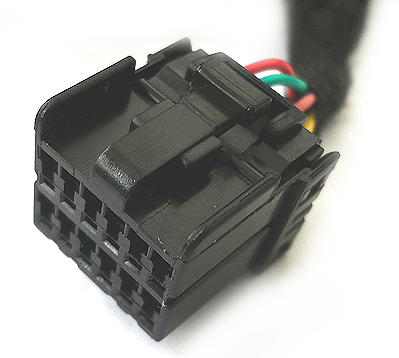 Remote CD Changer must have 12-pin connector. 5. The AUX-FRDW Requires AND Retains the remote Changer. Vehicles without remote Changer, may purchase this Adapter. 6. 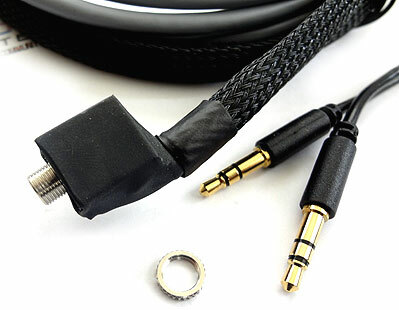 Cable available in 6 and 10 ft. lengths. Make selection below based on application. Avoid costly returns. Read Installation Guide and FAQ. *CD6 Changer built-into headunit is not external (remote). 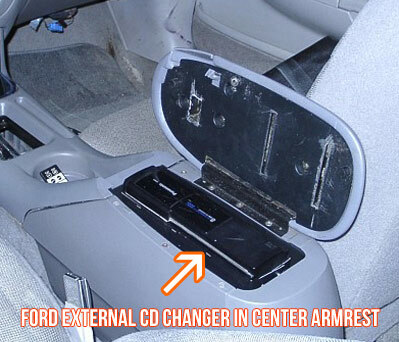 External CD Changers are mounted in armrest, hatch, trunk etc. 1. A functioning CD Changer (with at least one disc) required for proper operation. 2. Ford Radios with "SAT" button on face are not compatible. I bought this for my 1998 Lincoln Navigator, and I must say it does exactly what its suppose to do. Easy installation just removed the four bolts holding in the cd changer and simply connected the aux. My one issue is that at really low volumes you can hear the the song playing on the cd that's playing (it only works while a cd is playing) but turn up the volume and it works great. 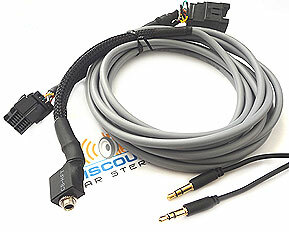 Great alternative to getting a new head unit.